It was a huge week in Nashville, with record crowds and record heat, with the CMT Awards, the CMA Fest, celeb bar openings (Blake’s), concerts at the Ryman, tons of after-party shows with headliners, and another big music fest just down the road (Bonnaroo). Every bar and restaurant also became a CMA Fest venue that had stages for tons of showcasing musicians from around the country, getting a chance to be seen and heard. From FGL, Dierks Bentley, Jason Aldean, Blake Shelton, John Rich, Gavin Degraw, Caleb Followill, Alan Jackson, George Jones, Dan Auerbach, downtown Nashville is a hot spot for celebrity musician’s bars and restaurants. Over 380 artists on 11 stages from The Music Center, The Ryman, and Nissan Stadium plus tons of outdoor shows at Riverfront, Breakout, Hardrock and other stages. Huge names like Luke Bryan, Carrie Underwood, Dierks Bentley, Darius Rucker, Chris Stapleton, Jason Aldean, Garth Brooks, Keith Urban, really helped sell the huge Nissan Stadium shows each night. There were tons and tons of free music to the public which was so cool. See all our CMA Fest photos on Austin 101 Magazine. But the fest was also a great showcase for newer or not as well-known (yet) artists such as Hunter Hayes, Wild Feathers, Lindsay Ell, Frankie Ballard, Cam, Lauren Alaina, Grainger Smith, RaeLynn. Plus many legacy country musicians like Tracey Lawrence, The Bellamy Brothers, Charley Pride, Ricky Skaggs, The Oak Ridge Boys, Little Texas, Linda Davis, LeeAnn Womack, and more. We love that there was something for everyone and every age. Check out our Instagram for tons more photos. Some of the coolest things, people, and moments we saw: Garth Brooks interview, Trisha Yearwood at HGTV, Randy Travis getting an award, John Rich dancing with fans at his bar, the just opened-Blake Shelton’s new bar-Ole Red, A Thousand Horses, Mason Ramsey, Lindsay Ell, Cam, Jon Pardi, Midland, Old Dominion, LeeAnn Womack, Tracy Lawrence, Dustin Lynch, great surprise appearances from Sam Hunt, Jake Owen, Dwight Yoakam, Backstreet Boys, and tons more. We love that there were so many great Texas artists at CMA Fest representing our great state. Best up-and-comers- RaeLynn, Lindsay Ell, Carly Pearce, Cam, Maddie & Tae, Runaway June, Restless Road, Tyler Rich, Claire Dunn, Morgan Waller, Tegan Marie. Day 3- Tracy Lawrence, Garth Brooks, Trisha Yearwood at HGTV, Scooter Brown band, Michael Ray, Tyler Rich, Dustin Lynch, LeeAnn Womack, Chris Stapleton, Keith Urban headlining at Nissan. Day 4- High Valley, Luke Pell, Thousand Horses, Ricky Skaggs, Brett Eldridge, Dierks Bentley, Luke Bryan, FGL, and tons of surprise appearances from Dwight Yoakum, to Randy Travis and Backstreet Boys at Nissan closing out the fest. Bummed we missed: CMT Awards, Blake playing at his bar, Ashley McBride, Jimmie Allen, Last Bandoleros, Easton Corbin, Jaredd Niemann, Kip Moore, Jillian Jaqueline, Dillon Carmichael, Tanya Tucker, Terri Clark, Sundance Head, Joe Diffy, Song Suffragettes panel, and more fest female artists (weren’t there- Maren Morris, Kacey Musgraves, Miranda Lambert, Margo Price, Kelly Clarkson, Reba, Dolly, Loretta Lynn, Martina McBride, Allison Krauss, (for that matter, groups like LBT, Lady A.). 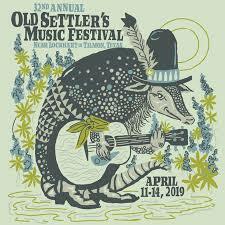 So many great musicians and legends were at the fest representing the Lone Star state (Texas) such as: Randy Travis, RaeLynn, Grainger Smith, Midland, Last Bandoleros, LeeAnn Womack, Easton Corbin, Sundance Head, Jaredd Niemann, Chase Bryant, Hudson Moore, Aaron Watson and more. We love that the fest proceeds help enrich and sustain music education programs across the country through CMA’s nonprofit arm, the CMA Foundation and many artists donated their time. If you weren’t in Nashville, don’t fret- watch the CMA Fest show on ABC August 8th!